Shirred detail on the unique bodice creates a flattering Queen Anne (Sweetheart) Neckline. The princess seams in the bodice and skirt have a slenderizing effect. Dress is floor length. 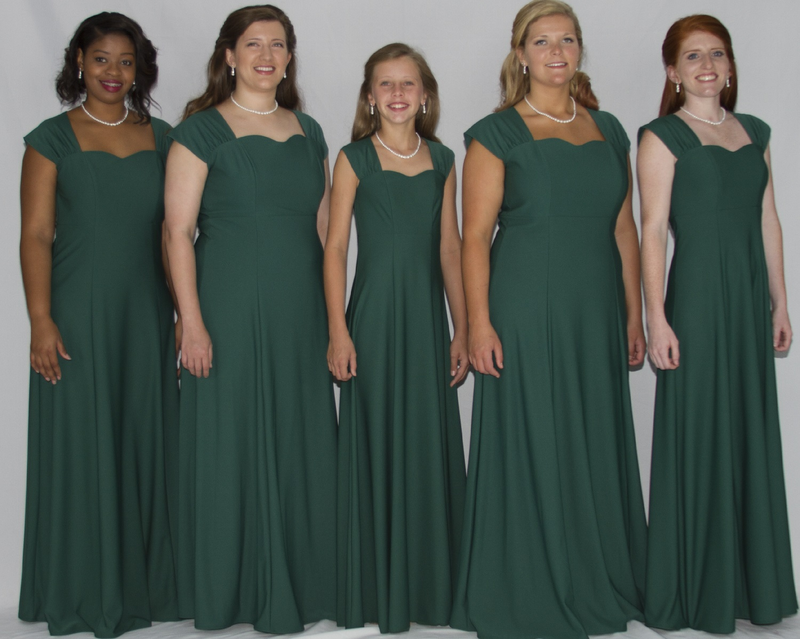 The Concerto choir dress is made in machine washable Crepe that moves with the body. FWO Extras: Also Available in Youth Sizes. See the Youth Concerto Dress for details.